Greater male partner involvement in Prevention of Mother to Child Transmission (PMTCT) and Early Infant Diagnosis (EID) is associated with improved outcomes. Perceived low social support for the mother can negatively impact the uptake of PMTCT/EID services. Most research relies on women’s reports of the types and quality of male partner support received versus what is desired. This qualitative study examines Kenyan male partners' reported social support provision pre- and post-partum from their own perspective. The study was embedded within intervention development studies in Kenya designed to develop and pilot a PMTCT module of a web based system to improve EID. Focus groups were conducted with male partners of pregnant women with HIV and elicited feedback on male partner involvement in maternal and child care and factors affecting participation. Interviews were analyzed within a theoretical social support framework. Participants described providing tangible support (financial resources), informational support (appointment reminders) and emotional support (stress alleviation in the face of HIV-related adversity). African conceptualizations of masculinity and gender norms influenced the types of support provided. 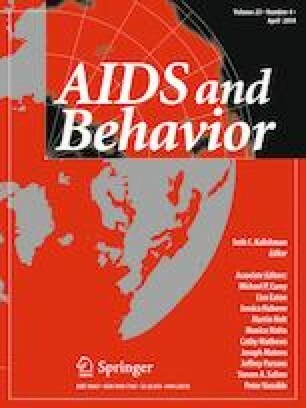 Challenges included economic hardship; insufficient social support from providers, peers and bosses; and HIV stigma. Collaboration among providers, mothers and partners; a community-based social support system; and recasting notions of traditional masculinity were identified as ways to foster male partner support. This work is supported by National Institutes of Health grants R34MH107337, funded by the National Institute of Mental Health, and R01HD076673 and R01HD076673-04S1, funded by the Eunice Kennedy Shriver National Institute of Child Health and Human Development. The content is solely the responsibility of the authors and does not necessarily represent the official views of the National Institutes of Health. No potential conflicts exist for all authors.